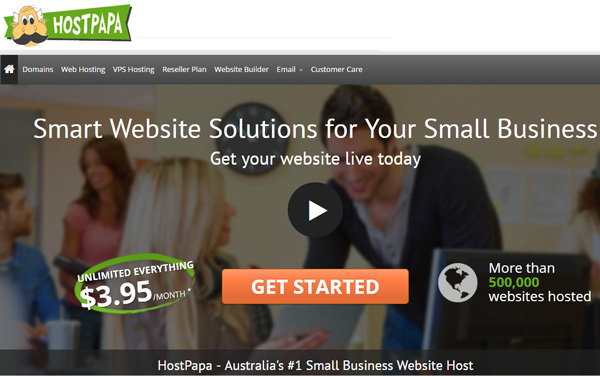 HostPapa offers a wide range of products and services at incredibly low prices in Australia. These HostPapa promo codes expire soon, so don’t forget to bookmark this page now. Limited time HostPapa coupon: Purchase Website Builder Premium plan for only $19.99 per month. Visit & find exclusive offers at HostPapa. Latest HostPapa promo code: Buy VPS Hosting plans from as low as $19.99 per month at HostPapa. Go for this offer before it runs out. If smart, cost-effective web solutions are what you’re looking for, HostPapa is counted amongst the best service providers. Each client is treated as an integral part of the HostPapa family with 24/7 technical and all-round support. With its top selling premise of guaranteed up time, top-level servers and technology, free domain registration and high levels of security, team HostPapa has taken Hosting and Allied Services to a whole new level. Even if you’re a complete novice, the easy-to-use design and administrative tools provide you with a hassle-free mode to build and manage your own website. In fact, you can get your website live in minutes, with absolute control over it. 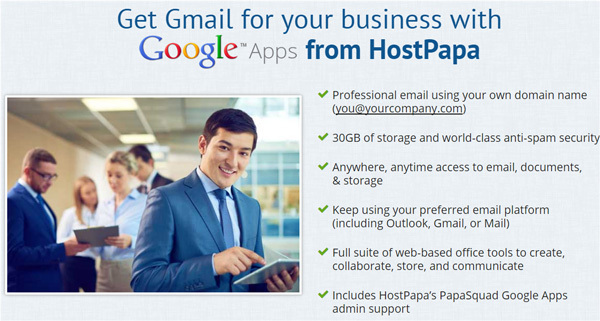 An authorized Google Apps Reseller, HostPapa has won accolades for its top-notch services. With over 500,000 raving reviews from small and medium-sized business owners and online entrepreneurs, HostPapa is known for its budget-friendly pricing, high-value deals and exorbitant discounts! Save a whopping $30 on Wildcard SSL Certificates. Save up to $6 offer for Web Hosting. $40 knocked off from the VPS Pro Linux Hosting for a limited period. Domain names starting from $0.88 only. ‘Unlimited Everything’ Web Hosting from $3.95 only. VPS Plus Linux Package will cost you only $19.99 for the first month. Free set up for 100% green web hosting under your own brand name. Free Trial on DIY Website Builder with professionally designed templates, stepwise instructions and lots more. If you are looking out to promote your brand, its online presence is very important. At our Web Hosting category, you can check out enormous coupons by hosting providers that help ensure your budget is in control. Build your own website without the hassle by purchasing domain of your choice from iPage that offers great features and tools at affordable costs. Enjoy your shopping & make your investment worth by avoiding massive overspend through these vouchers. HostPapa Advanced Email at just $2 per month encompassing: Advanced sync for multi-device, 5GB storage per inbox, Generous sending limits, Hi-tech anti-spam, virus and phishing protection. Unlimited Plan for Website Builder at $13.99 per month with: Unlimited Pages, 120 Design Templates, Mobile-friendly, responsive features, HTML Editing. Simple, Reliable Web Hosting ‘Business Plan’ at $3.95 per month which includes: Unlimited Websites Hosted, Unlimited Email Accounts, Unlimited Disk Space, Unlimited Bandwidth, Free Starter Edition of HostPapa Website Builder, Accelerated Performance, Over $150 per year in Extras. Get 100% Value for Money at HostPapa! Find your perfect domain name for your online business using a GoDaddy coupon code & Bluehost and grab huge discount with 24/7 customer support service. Click on ‘Select’, next to the Plan you wish to avail. Enter your domain name, or request for a new domain name. If you’ve requested for a new one, click on the list for the availability of various domain names. After you’ve selected the best one as per your requirements, check your website essentials and billing terms as displayed. Uncheck any security add-ons or any additional components that have been added by default and you may not require. Enter your Account Information and Payment Method. For the most insightful HostPapa Tutorials- how to familiarize yourself with the Website Builder, Advanced Email, Shared Hosting, VPS Hosting etc, the HostPapa YouTube Channel gives you a much-needed ‘insider’s look’. A much-needed respite for buyers who want to be doubly sure before taking the plunge! This video is about the shared web hosting services offered by HostPapa. Cancellation fees as mentioned on the Online Order Form you fill out. All Fees pertaining to Third Party Services such as Google Apps, SSL Certificates, Other Security Add-ons with your Plan. Any amount paid with regard to transfer of Domain Name or similar services. Get the Starter Plan for $4.17 per month only! In addition to the phone numbers and email id provided in the ‘contact’ section, HostPapa also has a 24/7 ‘Online Live Support’ Chat Feature on its home page. So you can be rest assured of the fact that a Technical Support Expert is always at your beck and call, no matter where and when you face any technical glitch, pertaining to any service. Namecheap also provides web hosting like HostPapa, it offers the Domain Name Registrar with 24/7 customer services and approx 5 million domains at discounted prices.